Whether it's a farmer's crops or our own skin, bug bites are something few of us seek out or covet. But the nibble of a green leafhopper is the secret to the sweet flavor and honeyed aroma of an oolong tea known as Oriental Beauty. The bug's bite sparks a chemical response in the plant, enhancing flavors that delight tea drinkers. The leafhopper is considered a pest by many plantations, but certain farms in Taiwan and China now encourage the insects, because growers have figured out that there's a useful—and economic—upside to letting them dine a little. "But you want just the right amount of predation," says Sean Cash, an associate professor at the Friedman School. As any farmer can tell you, getting precisely the right balance of beneficial insects can be tricky. Changes in pests—too many, too few, too early, too late, the wrong ones—is just one of the areas being studied by a global, interdisciplinary team led by Tufts University researchers, who are in the midst of a four-year project examining the impact climate change has on Chinese tea production. Biologists, chemists, economists and a host of other researchers are studying the breadth of climate impacts—everything from tea quality to consumer behavior to how farmers are adapting—and looking for methods to help mitigate risk to farmers' livelihoods. 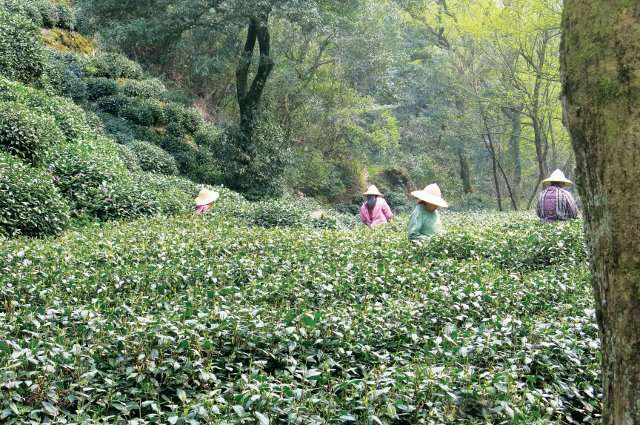 The project collaborators include researchers from Boston University, the University of Florida and the Tea Research Institute in Hangzhou, China. "Many researchers are already looking at crop yields and how we can feed the world's population," says Cash. "This project is different, because we're looking at the quality of the product—not just how much tea is being produced, but how good is it." Nuances in quality may not matter as much in crops like wheat, corn, soybeans or rice, but when it comes to tea, small differences matter a great deal. "You can grow wheat to have more protein, but most is grown for yields, and much less for the quality," says Colin Orians, a plant biologist at Tufts. 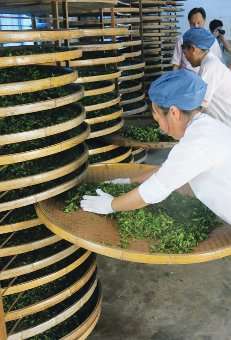 "Tea is one crop where quality is really important to the final product." It's just like grapes, he says; you can't make a good wine with bad grapes. All the tea we drink—green, oolong or black—is from the same species of plant, an evergreen perennial shrub called Camellia sinensis. Many of the style differences come from how it's processed after harvest. It's the equivalent, says Cash, of how coffee is roasted. But processing is not the only factor to affect flavor, aroma and nutrition, which make up a tea's quality. Weather conditions are keenly important, too. With climate change, Chinese farmers had noticed that the East Asian monsoons were arriving earlier and lasting longer. The researchers took a close look at monsoon data and tea harvests using records dating back to 1980. They found that the monsoon season was ending later and later, and brought heavier rainfall—conditions that were associated with reduced tea yields, possibly because it was harder to harvest and dry the leaves. The extended monsoons also reduced tea quality. That's because while monsoon rains bring a flurry of plant growth, they also change the chemistry of tea leaves. Selena Ahmed, an ethnobotanist at Montana State University who did her postdoctoral research at Tufts, led a 2014 study that analyzed a variety of Chinese tea samples, including tea harvested from the same fields at different times of the year and tea from varying elevations. The study—which included work by Cash, Friedman School associate professor Tim Griffin, Orians and Albert Robbat Jr., director of the Tufts University Sensory and Science Center (TUSSC)—showed that rains prompted faster leaf growth. But it also found that important metabolites called catechin and methylxanthine, which are partly responsible for the flavor, aroma and antioxidant content of tea, dropped by 50 percent. The precipitous drop in tea quality happens surprisingly fast. 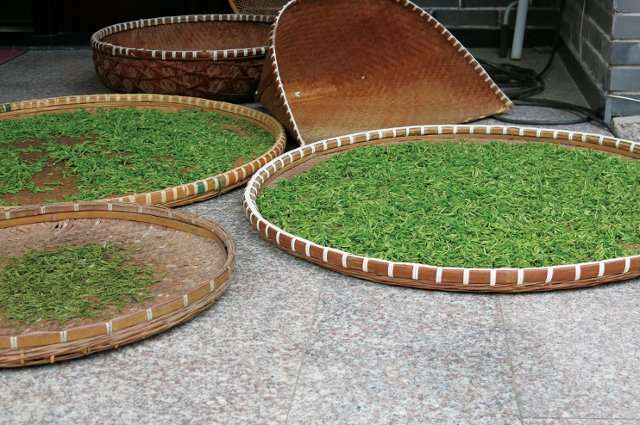 Chinese farmers have long known that leaves and buds collected before the monsoon season begins bring a premium price. Monsoon teas sold for an average of half what farmers were getting for their pre-monsoon harvests, with the dramatic price dip starting within 48 hours of the rains. On the other hand, Robbat's group found that concentrations of other healthful chemicals, such as anti-cancer, anti-anxiety and anti-microbial compounds, in fact increased after the rains. "It was originally thought that as the mass of the leaf grows faster, the chemicals the plant produces would be lower, or diluted on a mass basis, but that's not what happens," says Robbat, an associate professor of chemistry. "It turns out that a lot of the health beneficial compounds are actually higher in monsoon tea." Which means the less tasty monsoon-season tea, the one rejected by tea growers and buyers, might be better for us. But how much does tea's nutrition content matter to consumers? Is it more important than taste? Would they pay extra if they knew a farmer was making an effort to mitigate climate change impacts? To find out, the researchers looked at the data from an anthropological perspective, by talking to Chinese farmers and tea-drinking consumers. They assembled a trained panel of 10 tea experts at Tufts. Their role wasn't to say whether a tea tasted good or bad, but to quantitatively measure aromas, mouthfeel and aftertaste. "It's a way to measure the big sensory differences in tea, going back to the same fields year after year," says Cash. Next, Cash and Rebecca Boehm, a doctoral student in the Friedman School's Agriculture, Food and Environment program, set up tasting sessions in specialty food stores and grocery stores around Boston. Working with Roy Desrochers, sensory practice leader at TUSSC, they developed a tasting protocol that included a controlled way to consistently brew hundreds of identical tea samples. Tufts students offered blind samples of pre- and post-monsoon tea to consumers, asking them to rate the teas on a simple 1-to-9 scale of likability. 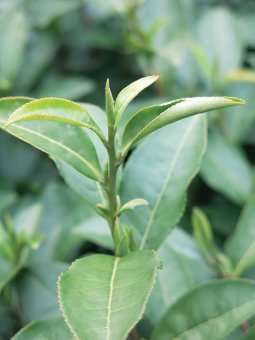 The consumers preferred the spring tea—much as researchers had expected. (Tasters described it as floral, honeyed and balanced, while saying the monsoon tea had a metallic, grassy, hay-like taste.) And when tasters were told that climate change affected the quality of the tea, it reinforced their opinions. "When consumers knew what they were drinking, they liked the pre-monsoon tea even more, and that difference was statistically significant," says Boehm. "But we also wanted to know their willingness to pay for the spring vs. the monsoon tea, and we found that they were willing to pay a significant premium for spring tea and tea with a lower carbon footprint." In fact, consumers were willing to pay the most for tea that had a low carbon footprint, followed by spring teas, fair-trade teas, teas with organic certification, and antioxidant-rich teas. The findings, says Boehm, are relevant to everyone in the tea supply chain. And as growing conditions change even further, the researchers' study methods could be of use for other taste-sensitive crops, such as grapes and cherries. For tea growers, the findings suggest that they may need to plant more rain-tolerant tea varietals, change the way they manage soil, or shift traditional harvesting times. And as the research continues, scientists may even find a way to keep those leafhoppers nibbling at just the right rate.